There are a variety of solutions available to wet basement problems. Take a look below to learn more. Depending on where the leak is coming from into the home, there are a variety of systems and products available to take care of the situation. Cove joint seepage: A perimeter drainage system can be installed around the basement to collect water that tries to get in through the walls and floors. This moisture can be pushed into a sump pump system. Once water inside of the sump basin reaches a certain level, the water will be sent out and away from the home. Wall or floor leaks: Cracks in a foundation should be looked at in case they pose a problem for the structural integrity of a home. The cracks should also be filled and sealed so that they do not let seepage into the basement. Epoxy and polyurethane injection materials are available, as well as waterproof paints. Clogged floor drains: Drains can get clogged with debris and even from tree roots from the soil surrounding the home. Calling a plumber may help you with determining where the clog is, and with having it properly removed. Additionally, it will be a good idea to get an interior drainage system installed together with a sump pump to help prevent basement flooding. Water through leaking windows: When you have basement windows with wells, the drains inside of them can be clogged with outdoor debris, including pine cones, acorns, twigs, rocks, seed pods, and so on. When this happens, moisture can't be properly drained away and it builds up next to the basement window. It will eventually break through the seal and get into the home. To fix the problem, the clog can be removed from the drain, or a new drain entirely can be installed. Also, a new seal can be added to the outside frame of the window itself. It will also be a smart idea to get a perimeter drain and sump pump installed. Learn more below about how to take care of water issues outside of the home. Water over the top of the foundation: When this happens, it's because water is building up next to the foundation walls. This is typically caused from poor lawn grading or drainage problems. To fix the problem, the lawn can be re-graded, and exterior drains can be installed. Poor yard grading or drainage: This is a problem that will usually occur whenever there is a sloping hill on your lawn that goes down toward your foundation. To fix the problem, French drains or other types of exterior drainage systems can be installed. Pools of water on the lawn: When there are low dips on the lawn, water will build up after a heavy rain or when there's melting snow on the lawn. To take care of the problem, French drains can be installed, and downspout extensions can be added to your gutter system to prevent moisture from building up next to your foundation wall. 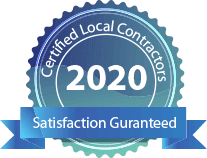 We have a network of certified, licensed and insured contractors that specialize in Basement Repair and Remodel. Once you enter and search your ZIP code, the nearest Expert will be available for you to complete a contact form to schedule a FREE estimate or ask any questions you might have. You do not have to register with us and we do not charge any fees. If You've Got Basement Questions, We've Got Basement Answers! At Basement Maintenance, we get a lot of questions from people concerning their basements. In this section we answer the most commonly asked questions. If we do not have the answer you are looking for, you can submit your question to an Expert in our Network.